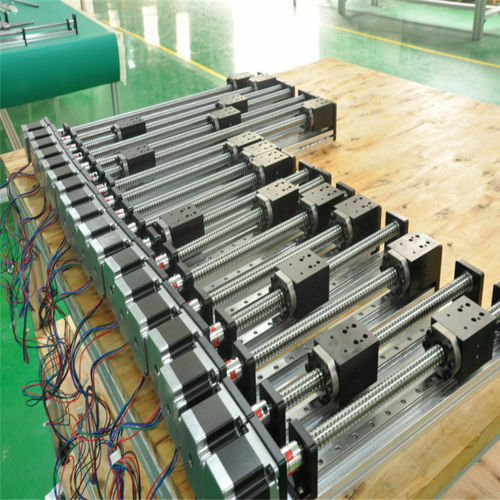 News & Trends> Industry News > Power Transmission - Mechanical Components > Chengdu Fuyu Technology Co., Ltd > How to design a linear-motion system? The shortest path between two points is a straight line. But if you’re designing a linear-motion system, you’ll have to consider structural support, guides, drives, seals, lubrication, and accessories between points A and B. Whether you decide to design and build your system from scratch using standard parts or buy one that’s engineered for you, making the right choices from the outset should help keep things moving for the long term. Building a linear system literally means starting from the ground up — with a structural-support system. The support system’s main component is typically an aluminum extrusion. 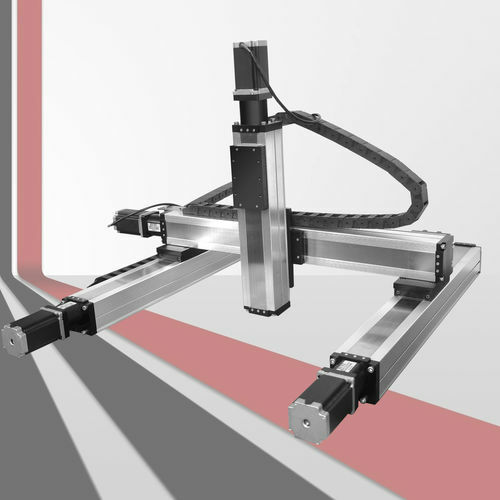 You can have the mounting surface of the base extrusion and the surface the linear guide mounts to machined for applications that require accurate positioning. For lower accuracy, transport-type applications, optimize bases to resist bending under load and to prevent distortion during extrusion instead. A robust base lets the system rest on end supports only. Lighter extrusions may need intermittent supports along their lengths. Guides attach to the base to facilitate motion. The main types are ball guides, wheel guides, and slide or prism guides. Ball guides carry the heaviest payloads and have the highest stiffness. Their single or dual-rail configurations move with little friction. The downsides are higher cost and the amount of noise they generate. Wheel guides operate at up to 10 m/sec with low friction and high stiffness. However, shock loads can damage them. In slide guides, prism-shaped polymer bushings run on the profile surface. The polymer helps them move quietly and withstand high shock loads. They tolerate environments contaminated by dirt, grit, dust, oil, and chemicals, but operate with more slowly and under lighter loads than ball or wheel guides, as denoted by their PV rating, the product of pressure and velocity they can tolerate. Drives move the carriage to the desired positions. The most common drive technologies are ball-screw drives, leadscrew drives, and belt drives. In a ball-screw drive, ball bearings travel along the grooves in a threaded shaft — the ball screw — and recirculate through a ball nut. Because bearings share the load, ball-screw drives have relatively high thrust capacity. The result is absolute accuracy, defined as the maximum error between the expected and actual position, down to 0.005 mm. Systems with ground and preloaded ball screws are the most accurate. The systems have thrust capacity up to 40 kN and high stiffness. Their critical speed is determined by screw root diameter, unsupported length, and end-support configuration. With a novel screw support, screw-driven units can travel up to 12 m and accept 3,000-rpm input speeds. Ball-screw drives provide mechanical efficiency of 90%, so their higher cost is often offset by lower power requirements. Belt drives work in high-throughput transport applications with velocities up to 10 m/sec and acceleration up to 40 m/sec2. Most guide systems and drive systems require lubrication. You can simplify future preventive maintenance by ensuring easy access to lubrication fittings. For instance, Zerk fittings installed on the carriage can feed a lubrication network that serves both the ball screw and linear-bearing system during installation and at periodic maintenance intervals. Prism guides are maintenance-free. The polymer material of the slide has inherent lubricity, and lubricated felt wipers replenish lubricant each stroke. Seals keep lubricant in and contaminants out. One type is magnetic-strip seals — stainless-steel magnetic bands extending from one end of the channel to the other. The bands are fixed to the end caps and spring-loaded to maintain tension. They run through a cavity in the carriage so the strip is raised off the magnets just ahead of and behind the carriage as it traverses the system. An alternate sealing technology, plastic cover bands, uses compliant rubber strips that interlock with the base extrusion, like a zip-top freezer bag. Mating tongue-and-groove profiles create a labyrinth seal that keeps out particulates. One more consideration is how you will mount your motor. A motor housing and coupling must mate with the bolt size and bolt-circle diameter on the motor flange, motor pilot diameter, and motor shaft diameter and length. Many motors have dimensions that meet NEMA standards, but others are manufacturer and model specific. In either case, flexible motor mounts machined from common blanks make it easy to mount to nearly any motor with guaranteed alignment. Not every combination of drives and guides makes sense. In practical applications, you’re most likely to see leadscrews driving ball or slide guides; ball screws paired with ball or slide guides; and belts driving ball, slide, or wheel guides. A ball-screw drive combines with a ball guide for repeatable motion and a stiff system that handles high forces and moments. 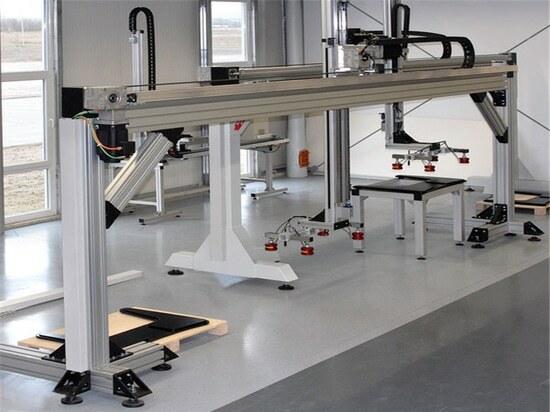 Such systems work well in precision-positioning applications with high loads and high duty cycles, such as loading and unloading gear blanks on machine tools. Belt-driven, ball-guided units are for high-speed, high-acceleration applications with heavy payloads and high moment loads. These units work on bases that span a gap and are supported either at the ends or intermittently. Palletizing cans is one application. 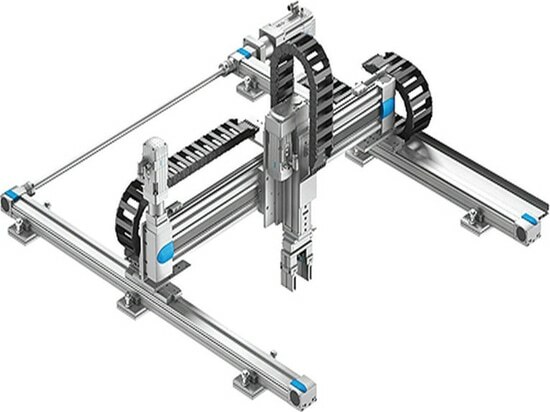 Belt-driven, slide-guided linear systems are lower-cost units that are quiet and need little maintenance. They work at moderate speeds and accelerations but excel at managing impact loads. Adding a magnetic cover band makes this type of system suitable for environments with a high particulate content and wash-down requirements such as sheet-metal spray treatment. Because wheel guides need less maintenance than ball guides, but more than slides, wheels driven by belts are another moderate-cost, low-noise, low-maintenance option. 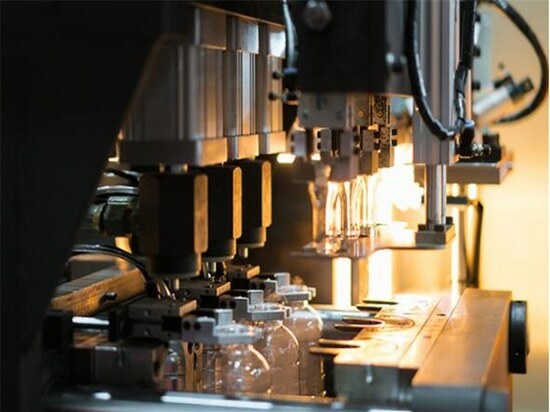 These systems achieve high linear velocities and accelerations and are often found in packaging and filling machines. 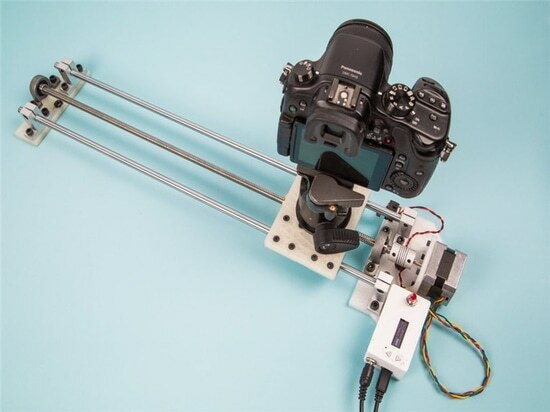 What is a robot axis? How Many Axes Should My Robot Have? How Many Axes Should My Robot Have? What Questions Should You Ask During the Product Lifecycle? What Questions Should You Ask During the Product Lifecycle?